I'm touching a wet slab of protein, what feels like a paper-thin slice of bologna. It's supple, slimy, but unlike meat, if you were to slice it down the center today, tomorrow the wound would heal. It's factory-grown living tissue. The company behind the living, petri-dish-grown substance known as Apligraf hates my new name for it: meat band-aid. "It's living," Dr. Damien Bates, Chief Medical Officer at Organogenesis, corrects me. "Meat isn't living." But no one argues with me that this substance is really just a band-aid. A living, $1500 band-aid, I should say. Apligraf is a matrix of cow collagen, human fibroblasts and keratinocyte stem cells (from discarded circumcisions), that, when applied to chronic wounds (particularly nasty problems like diabetic sores), can seed healing and regeneration. Unlike the research of Dr. Atala that we explored yesterday, Organogenesis is not interested in creating boutique organs for proof of concept scientific advancement. They're a business in the business of mass tissue manufacturing—and the first of its kind. So when researchers like Dr. Atala develop their science to a threshold of duplicable outcomes, companies like Organogenesis will be scaling the process into Ford-esque mass production models. Organogenesis was the first company to successfully mass produce and commercialize a living, cell-based product. Our flagship product, Apligraf, is the only living cell-based product that is FDA-approved to treat two types of chronic wounds—venous leg ulcers and diabetic foot ulcers. Apligraf secretes proteins including growth factors and cytokines which are believed to underlie the clinical improvement in the rate and quality of healing. Organogenesis also has licensing agreements for our biocompatible extracellular collagen matrices to be used as scaffolding for a variety of biosurgery procedures, including heart and tendon repair. With more than 250,000 patient applications, our products are one of only a handful of regenerative medicine products that are already used around the world. What will we be doing in 5 years? The next foray for our platform technology is to deliver the first living cell-based product to induce the regeneration of site-appropriate oral mucosa (i.e., gums). CelTx has been studied extensively, and recently completed a pivotal clinical trial. We expect to launch the product once U.S. FDA approval is secured. We are also developing the next-generation of our platform technology that has the potential for multiple indications. 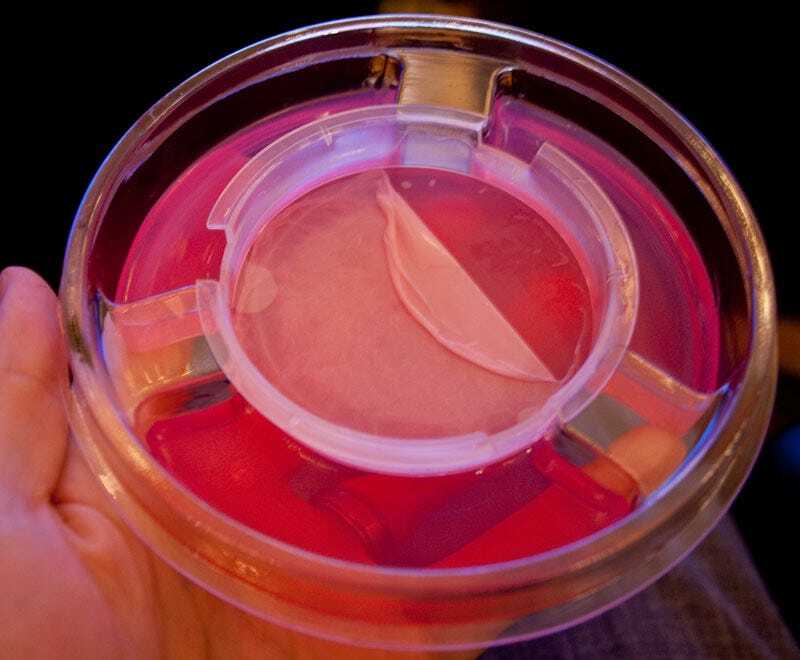 Over the next five years, Organogenesis expects to continue to pioneer regenerative medicine by completely automating the manufacturing process using robotics. This is expected to be a first within the field. We expect that cell-based technologies used to improve healing will have become widespread. The idea of a "systems-based" approach to treatment will have replaced the traditional drug-based approach to many diseases. We will have a better understanding of which cells or cell combinations to use for what types of medical conditions. Regulatory agencies (such as the FDA) will have a more streamlined approach to dealing with cell-based therapies enabling a more efficient approval process. This will translate into more cell-based products being available on the market. Parallel discoveries will help us understand how to optimize the patient's response to cell-based products. Matrix-only products will be optimized to serve as a totally biocompatible scaffold with physical properties equal to native tissue. It is difficult to predict exactly where we will be in the next 20 years. However...we expect that cell-based products will be able to direct site-appropriate differentiation of tissue without scar formation. We will be tantalizingly close to actually unlocking the body's true regenerative potential, in addition to our current abilities to improve the rate and quality of tissue repair. This new era may see the successful regeneration of entire appendages (e.g. fingers). With Regenerative Medicine, the field is so new and there are exciting developments announced almost daily. It really is a new frontier and the future is wide open. This week, Gizmodo is exploring the enhanced human future in a segment we call This Cyborg Life. It's about what happens when we treat our body less as a sacred object and more as what it is: Nature's ultimate machine. We met Dr. Damien Bates at this year's TEDMED.